...The fourth angel sounded his trumpet, and a third of the sun was struck, a third of the moon, and a third of the stars, so that a third of them turned dark. A third of the day was without light, and also a third of the night." its truth is not found in the wisdom, philosophies or religions of the world." Chanukkah (Hb) - Dedication (Eng) - chanukkah is the Hebrew word from the Hebrew root chnk which means "to dedicate." Chanukkah means "dedication," and "consecration." Judas Maccabeus in 164 BC when the temple was captured from the Seleucids and rededicated. This feast is the Feast of Lights that Jesus attended in John 10:22-33. 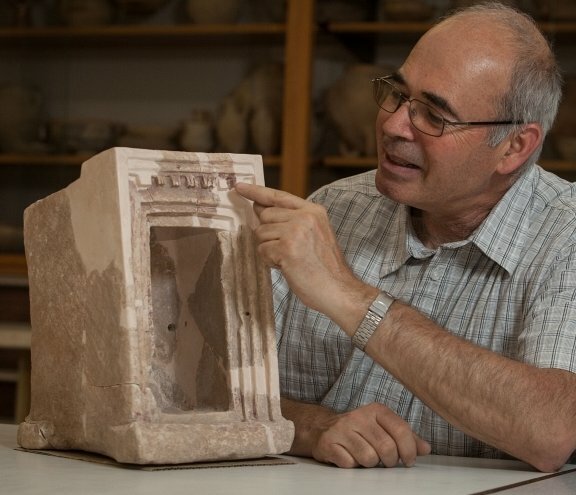 The idolatry and family shrines during the days of Judges has been confirmed by discoveries at Khirbet Qeiyafa in the Shephelah of Judah from the end of the period of the Judges around 1050 BC. 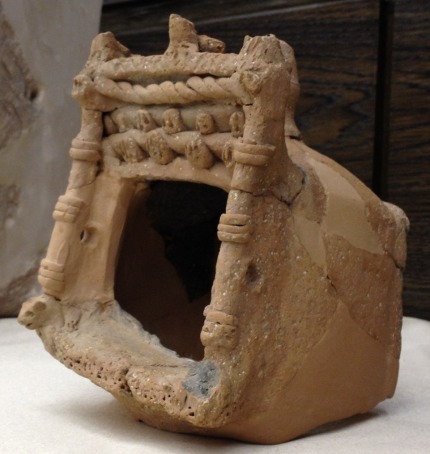 Found there were three shrines which were part of a building complex and two portable shrines, one made of pottery and one of stone, were boxes with doors that could be closed designed in the shape of temples. It appears these were Israeli and not Canaanite or Philistine shrines. 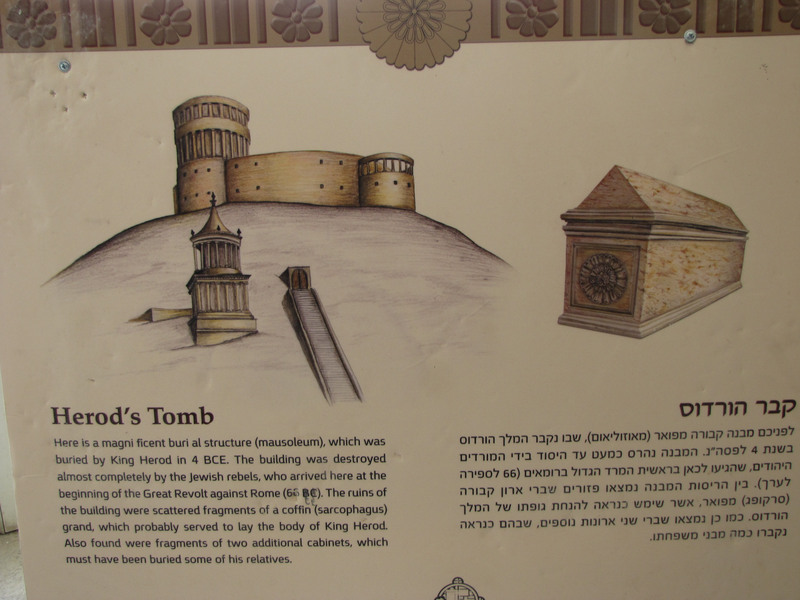 This might explain what kind of location David left the Ark of the Covenant at when he left it at a private house of Obed-Edom near Kiriath-jearim in 2 Samuel 6. Do I trust everyone? Should everyone trust me? This is one of several columns that remain from the original construction of Constantine’s Church of the Nativity from 333 AD. 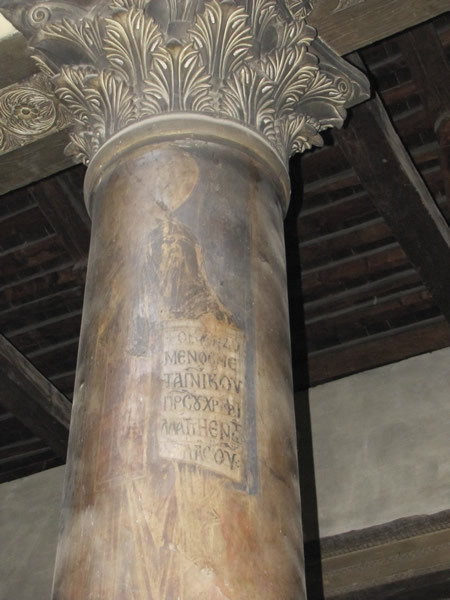 These columns are decorated with fresco from the days of the Crusaders. 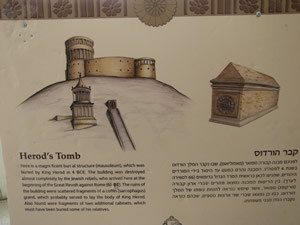 (click on image for larger size) Details of Herod's tomb found on the side of Masada.